With over 20-years’ experience in strategic communications, Vladimir Pletuykhin held executive PR & Public Affairs positions at recent major Russian image projects such as FIFA 2018 World Cup and Sochi 2014 Olympic Games. At FIFA World Cup Local Organizing Committee Vladimir oversaw Media Relations, Media Operations, Corporate communications, Digital and World Cup Ambassadors program throughout all the 11 World Cup host cities, and on the international level as well. 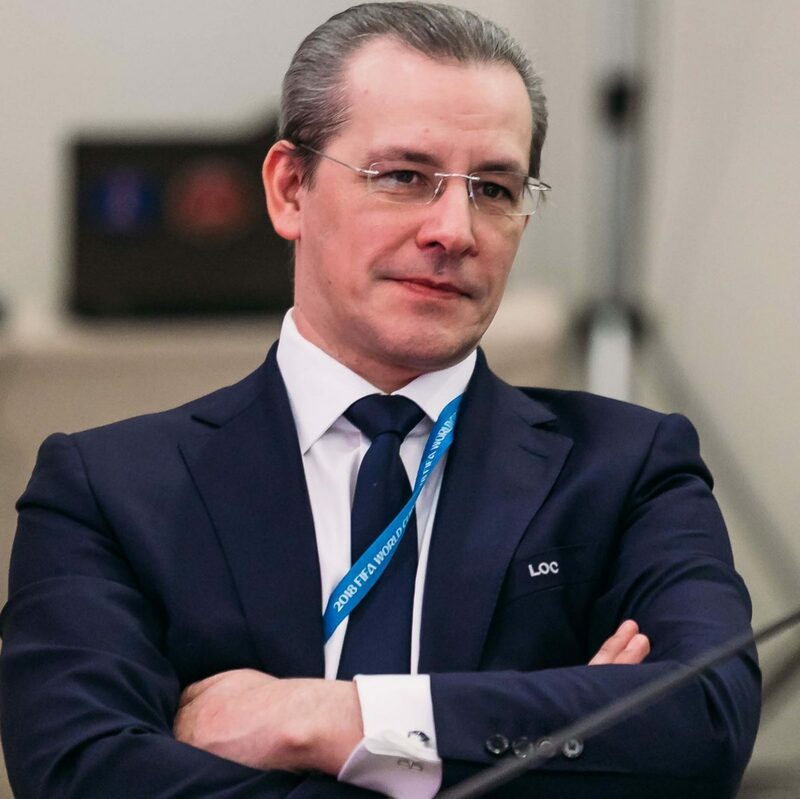 Prior to World Cup in 2010-2015 as vice-president of CROS (the leading Russian independent PR&GR consulting company), Vladimir was responsible for the key accounts such as Sochi 2014 Olympic Games, Winter Universiade 2019 in Krasnoyarsk, Sberbank, Lukoil, and others. Key specialty of all the projects implemented by Vladimir and his team is a proper mix of Media Relations, Government Relations and Public Affairs to benefit the interests of all parties involved in the process of establishing solid relations. Based on the business task and analytics, Vladimir Pletuykhin helps to develop detailed road map utilizing the unlimited variety of communication tools – from one-to-one expert meetings or interviews to global international forums, from posts in social media to flashmobe activities with State President’s participation. Vladimir is a multiple winner of the prestigious professional international and Russian awards for the outstanding achievements in Public Relations: SABRE Award, IPRA Golden World Award, Gold Quill Award, European Excellence Award, Silver Archer, Russian Internet Award and others. Vladimir graduated with a first-class honor degree from Moscow State Linguistic University and extended his professional education in PR and Marketing at Stockholm State University.